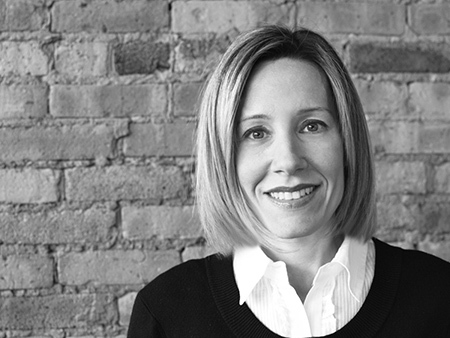 Nicki is LargerPond’s Senior Art Director, heading the firm’s branding and graphic design services. Known as a perfectionist when it comes to branding guidelines and production coordination, Nicki’s elegant and clean style pervades all of LargerPond’s design efforts. She is especially adept at ensuring client branding has the “legs” necessary to meet the complete range of communication needs, both printed and digital. Having developed…branding for start-up consulting firms, packaging for consumer products, trade show graphics for technology firms, e-marketing tool kits for trade organizations, fundraising packages for Not-for-Profits, proposal templates for professional service firms, and GUI designs for webapplications and automated kiosks, (to name a very small subset) …Nicki is second-to-none when it comes to creating designs that are attractive and compelling for the widest range of end-customers and users. Nicki joined LargerPond at its foundation in 2003. She previously worked as the senior art director for Baum&Olsen Advertising, a full service advertising and marketing firm, where she oversaw a staff of six full-time designers and numerous digital, graphic and production partner relationships.